I Think I Can - Do Affirmations Work? I Think I Can – Do Affirmations Work? In the many years of my continuous self-improvement, I have tried to develop a practice of positive affirmations. That is, to write down positive, specific thoughts about myself in the present tense. From Napoleon Hill to Tony Robbins and Louise Hays, all the self-improvement experts extol the virtues of positive self-image supported by positive self-talk. With the correct mental attitude, you can accomplish anything. In 2009, a study by Joanne V. Wood and John W. Lee from the University of Waterloo and W.Q. Elaine Perunovic from the University of New Brunswick discovered that some people felt worse about themselves after repeating positive self-statements. How can this be? 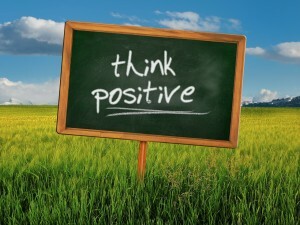 Subsequent studies have shown that, for some people, positive affirmations do in fact improve their outlook on life. So for some, positive affirmations work. For others, not so much. Researchers Ibrahim Senay and Dolores Albarracin of the University of Illinois and Kenji Noguchi of the University of Southern Mississippi have discovered a better method. And it makes sense. Instead of repeating “I can do it,” ask “Can I do it?” Interrogative self-talk is far more powerful than positive affirmations. Positive affirmations put your mind in a passive acceptance mode, and for some, it actually takes them down a notch. Asking, “Can I do it?” engages your mind in an active state of discovery. Are you ready for discovery?